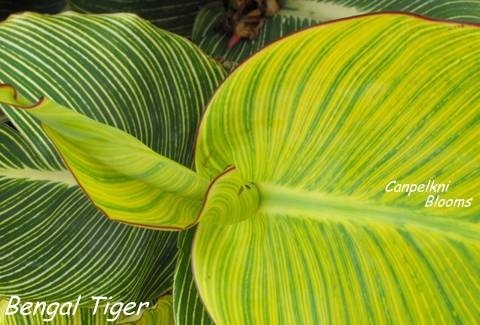 With spectacular variegated foliage these plants will add instant color to your garden. 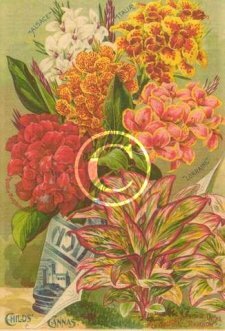 These colorful tropical plants offer a palette of colors that include reds, pinks, yellow and greens, white silver and cream. 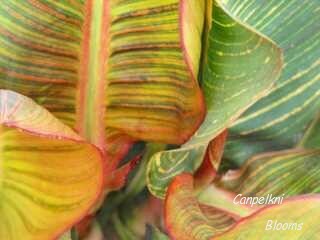 There are different variegated cannas that display their variegation in their own unique ways. 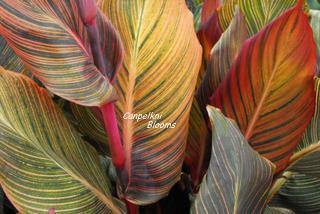 Canna Pringle Bay is a fine example of these exotic plants whilst showing stripes of pink, cream and yellow over green foliage. 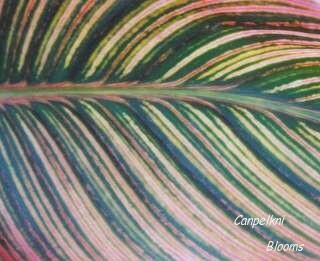 Every leaf is striped different and as the leaves age some of the stripes fade, note the older leaves in the background of the picture. 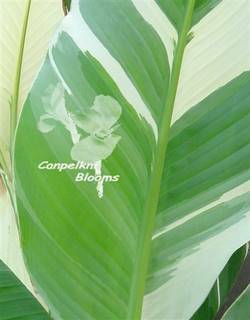 The coloring on Canna Stuttgart is something to behold, with white color blocks edging onto green blocks thus also giving some silver and blue green shades. 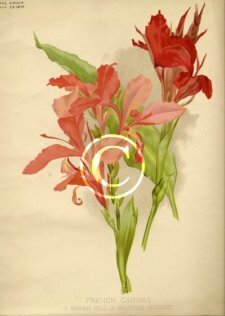 Canna Rainbow pictured above from 1899 was described as a magnificent novelty amongst foliage plants with each leaf beautifully variegated with pink, scarlet, orange, grey, green etc. 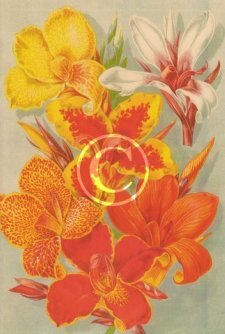 Its leaves are described as wide, waxy and graceful and being more charming than other cannas. 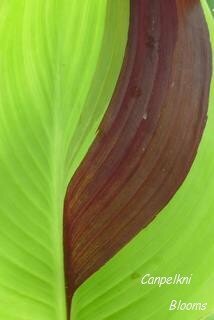 Picture above is Canna Bengal Tiger with a attractive burgundy red leaf margin. 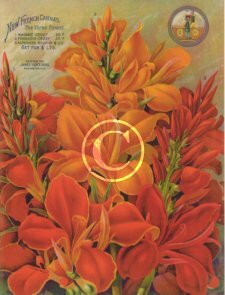 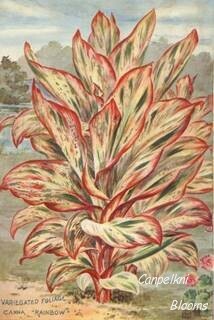 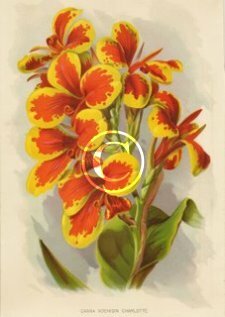 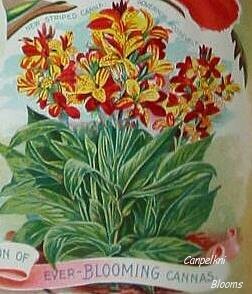 Even in the year 1900 there were cannas with variegated leaves and variegated canna flowers. 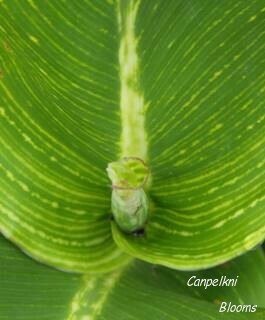 One of the most unusual of the exotic plants is canna Yellow King Humbert with green foliage and irregular dark sectors through the leaves are displayed in a variety of combinations. 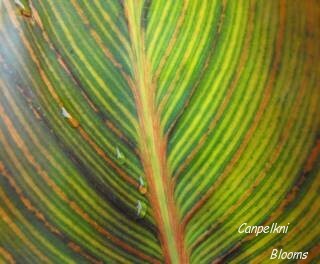 With fresh green leaves striped with yellows and cream lines is canna Trinacria Variegata, all the variegated cannas are superb tropical plants and look equally at home growing amongst cottage garden flowers through to the latest trendy landscape designs.